An IRA or 401(k) is a great savings vehicle because you get to reduce your taxable income when you put money into the account. However, all funds are taxable upon withdrawal. A Roth IRA is attractive because while you don't get an up-front tax deduction, all funds are tax-free upon withdrawal. What if I told you there is an even better savings account available? One that combines the up-front tax deduction of an IRA/401(k) with the tax-free withdrawals of a Roth IRA? This is an amazing double tax benefit within one account. 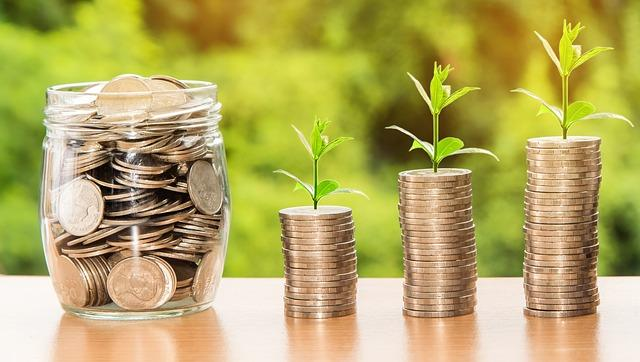 Further, unlike a regular savings or investment account, all the income from the account itself is also not taxed as it builds up inside the account (just like IRAs and Roth IRAs). In other words, with this special type of savings account, you get triple tax savings! This type of account is called a Health Savings Account (HSA). The Health Savings Account (HSA) is the ultimate savings machine as it is the only type of account with these triple tax benefits. The image below comes from www.kitces.com. An HSA is a special type of savings/investment account set up for the intended purpose of paying medical expenses. You can only open and fund an HSA if you have a high deductible health insurance plan that is specifically HSA "qualified". Usually, this is defined as having an annual deductible of at least $1,300 for individuals or $2,600 for family coverage. It does not matter if your high deductible health plan comes from the health insurance exchange, an employer, or private purchase from a broker. You personally open an HSA account either with your employer's help (as you would when using a 401(k), or if your high deductible health plan is not offered by your employer, by contacting a sponsoring bank directly. The account is yours and stays with you regardless of changes to your insurance plan, employer, or work status. If you have an employer sponsored high deductible health insurance plan, you can make contributions via pre-tax salary reduction. Some employers make contributions into their employee's HSA's, and like a 401(k) match are also not included in your taxable income. If you have a non-employer sponsored plan, you simply transfer your own funds from a checking account to your HSA in order to make your contribution. In this case, you get your tax deduction on the first page of your tax return. The IRS sets limits on the total aggregate amount you (and your employer) can contribute each year. For 2017, you can put up to $3,400 in an HSA, or up to $6,750 if you have a family plan. There's also a "catch up" provision (at least through 12/31/2017) for those aged 55 or older that allows you to contribute an extra $1,000 beyond the limits above. This year, a family maximum of $6,750, this would reduce your taxable income and save about $1,688 in federal taxes for someone in the 25% marginal tax bracket. You can make contributions at any time, even up to April 15 for the previous tax year. The contributions can be spread over the year, or made in one lump sum. Unfortunately, you cannot contribute to an HSA if you are enrolled in Medicare. Funds in an HSA can be used anytime to pay for a wide range of qualified medical expenses for yourself or family members (on your family plan). This includes co-pays, dentist visits, Medicare premiums, prescription glasses, and even acupuncture and chiropractic care. Unlike an IRA, you can withdraw money prior to age 59 ½ and there are no required distributions beginning at age 70 ½. You can also take money from your account to reimburse yourself for past medical expenses - if they occurred after your HSA was established. However, keep your receipts and proof of medical expenses in the rare event that you are audited. There is a 20% penalty (plus income taxes) paid on the amount you withdraw from your HSA if it is used for non-medical expenses prior to age 65. But remember, you could pull money out and spend it on a vacation, and as long as you had prior medical expenses after the account was opened. You could always say you are reimbursing yourself for those past medical expenses (yes, this is legal). Once you are age 65 or older, if you use the funds for non-medical expenses the penalty doesn't apply; but the withdrawals would still be subjected to income taxes. While not ideal, not only are the odds of not having medical expenses low, even if the withdrawals are taxable, you still end up with the same great benefits as an IRA or 401(k)! 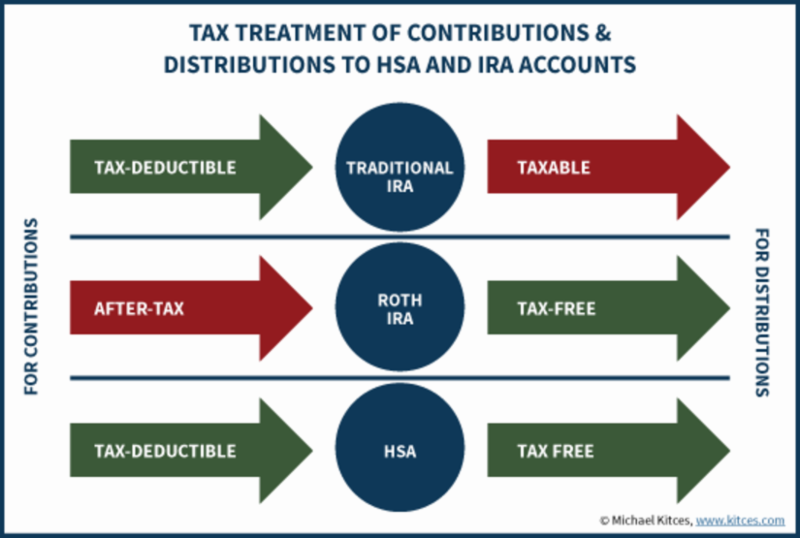 Think of it this way, in retirement (age 65 or older) your HSA morphs into a special type of retirement account where you can withdraw tax-free (like a Roth IRA) for medical expenses, or take taxable withdrawals (like an IRA or 401k) for non-medical expenses. An HSA is NOT a "use it or lose it" type of account (like a flexible spending account). Unfortunately, this point of distinction has lead to confusion resulting in savers avoiding opening an HSA for fear of losing their contributions if not used during the year. What Does the Money Do While Inside the HSA Account? An HSA operates much like a checking account with online banking features, a debit card, and little to no interest earnings. While you can let the money sit in the cash account so that it is liquid and safe, you can also invest some or all of the balance (that you don't plan on withdrawing in the short-term) in mutual funds. For those who fund their HSA and use it for medical in the same year, they should keep the money in the cash account. However, if you have little expected medical costs, or are willing to NOT tap into your HSA, the best bet would be to invest your balance. Investing your HSA dollars is the only real way to take advantage of the back-end tax benefits: tax-free growth. However, this would require that you not only fund the HSA, but that you also pay your current medical expenses out of your own pocket instead of using the HSA. This can be hard, but it works for those with the cash flow to do so. In fact, this is the ideal scenario: fund the account; avoid withdrawals; invest the balance; and let it grow tax-free for your future retirement medical expenses. What else should I consider about an HSA? As you search for an HSA provider, be sure to examine whether it offers an easy-to-use web interface, a suitable array of investment choices (perhaps FDIC insured for those that are money market), low or non-existent monthly maintenance or transaction fees, and beware of minimum balance requirements. Should you wish to move your HSA in the future, it can be rolled over to a different provider. One website, www.HSASearch.com, lists several hundred providers and allows you to compare features among them. Front-end tax break. Your contributions are tax deductible which reduces your taxable income and your tax. Back-end tax break. The account grows tax-free as long as you spend them on qualified medical expenses. On-going tax break. The earnings while they are in the account are not taxable. In other words, you don't get a 1099 each year where you must report the earnings on your tax return. You never lose funds. They stay in the account for your entire life, with no penalty if you don't spend them. Withdrawals are never taxed, as long as you spend them on qualified medical expenses. You can spend it on you, your family, or your dependents for medical expenses. You own it. It stays with you and is portable, regardless of your employer or changes to your insurance plan. If you're eligible for an HSA and you have the ability to fund it, you should open one right away and take advantage of the benefits of the ultimate savings machine!